Date: Nov 30 2018, 12 p.m. - 4 p.m.
You bring the sweater, and we'll provide the ugly! 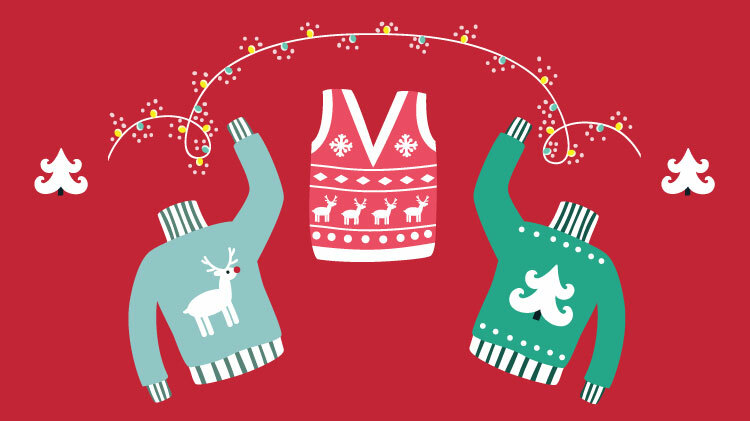 Come craft your very own ugly sweater or t-shirt right in time for the holidays! See if you can spy Ollie, the library elf, as he makes his debut this season! Coffee, cookies and camaraderie are assured!